Khin San Mu, Aung Aung, Mar Mar Kyi, Tin Ngwe and Ni Ni Maw (2002). Studies on the physiological responses of growing bulls fed on urea-treated rice straw with untreated or heat-treated sesame meal and two rates of chickpea (Cicer Arietinum) husk. Proceedings of the annual research conference held in Yangon on June 28–30, 2002. (Livestock and Fishery Sciences). Myanmar Academy of Agricultural, Forestry, Livestock and Fishery Sciences. August, 2002, Yangon, Myanma. Khin San Mu and Upoor Krishnamoorthy (2005). Effect of incorporating tamarind seed husk in the diet of crossbred calves on dry matter intake, digestibility of nutrients, nitrogen balance and growth performance. Proceedings of the annual research conference held in Yangon on December 7–8, January, 2005. (Livestock and Fishery Sciences). Myanmar Academy of Agricultural, Forestry, Livestock and Fishery Sciences. January, 2005, Yangon,Myanmar. Khin San Mu, Azhar, K., Aini, I. and Anis, S.M.H. (2009). The effect of locally produced dietary microbial phytase on broiler performance. In: Proceedings of 30th the Malaysian Society of Animal production Annual Conference at Hyatt Regency Hotel, Kota Kinabalu, p 224-225. Khin San Mu, Azhar, K., Aini, I. and Anis, S.M.H. (2010). Effect of locally produced ASUIA279 phytase supplementation on performance, bone and serum mineralization of broiler chickens. In: Proceedings of the 31st Malaysian Society of Animal production Annual Conference at Renaissance Hotel, Kota Bharu, p 111-112. Khin San Mu, Azhar, K., Aini, I. and Che Roos Saad (2011). Effects of two forms of phytae extract on performance of broiler chickens In: Proceedings of 32nd the Malaysian Society of Animal production Annual Conference at Promendae Hotel, Tawau, Sabah Malaysia, p 63-64. Khin San Mu, Azhar bin Kasim., Aini Ideris, and Che Roos Saad (2011). Effect of Fermented Rice Bran, Bio-Converted Byproduct on Performance of Broiler Chickens. Journal of Animal and Veterinary Advances, 10 (22) 2011. Khin San Mu, Azhar bin Kasim., Aini Ideris, and Che Roos Saad (2014). Effect of ASUIA 279 phytase at graded levels on on Performance of Broiler Chickens. Proceeding of first international conference and annual meeting of Myanmar Veterinary Association, Myanmar Convention Centre, Yangon, 2nd -3rd, February. 310-321. Khin Htay Myint, Khin San Mu, Tin Maung Soe, Ni Ni Maw and Tin Ngwe (2006). The effect of leucaena leucocephala and ziziphus mauritiana as sources of tannin, on the digestibility and nitrogen utilization in goat. Proceedings of the annual research conference held in Yangon on May 25 – 27, 2006. (Livestock and Fishery Sciences). Myanmar Academy of Agricultural, Forestry, Livestock and Fishery Sciences. May, 2006, Yangon, Myanmar. Ni Ni Maw, Khin San Mu, Khin Htay Myint and Tin Ngwe (2006). In situ degradation study of organic matter and crude protein of some tree foliages in the rumen of fistulated bull. Proceedings of the annual research conference held in Yangon on May 25 – 27, 2006. (Livestock and Fishery Sciences). Myanmar Academy of Agricultural, Forestry, Livestock and Fishery Sciences. May, 2006, Yangon,Myanmar. Tin Ngwe, Khin Htay Myint, Tin Maung Soe and Khin San Mu (2006). Effect of feeding frequency of leucaena leucocephala, as a source of easily digestible fibre, on nutrients digestibility and nitrogen utilization of rice straw diet fed to goat.. Journal of the annual research conference held in Yangon on May 25 – 27, 2006. (Livestock and Fishery Sciences). Myanmar Academy of Agricultural, Forestry, Livestock and Fishery Sciences. May, 2006, Yangon, Myanmar. Tin Ngwe, Tin Maung Soe and Khin San Mu (2006). Preliminary report of chemical compositions of feedstuff commonly fed to draft cattle in Myingyan district. Proceedings of 14th Myanmar Veterinary Association Conference, Myanmar Livestock Federation hall. 12-13, November 2006. Myanmar Veterinary Association, Myanmar. Tin Maung Soe, Khin San Mu and Tin Ngwe (2006). Effect of groundnut, black gram and green gram residues on intake, digestibility and nitrogen utilization as supplements in goat fed on rice straw. Proceedings of 14th Myanmar Veterinary Association Conference, Myanmar Livestock Federation hall. 12-13, November 2006. Myanmar Veterinary Association, Myanmar. 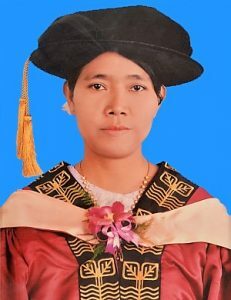 Tin Maung Soe, Khin San Mu and Tin Ngwe (2008). Effects of groundnut and black gram residues on in situ degradation of rice straw and wheat straw based diets. Proceedings of the annual research conference held in Yangon on July 25 – 26, 2008. (Livestock and Fishery Sciences). Myanmar Academy of Agricultural, Forestry, Livestock and Fishery Sciences. Nay Pyi Taw, Yezin, Myanmar. Tin Ngwe, Khin San Mu, Zaw Lin, Htun Min and Sein Maung Maung (2008). Effect of Tannin Included in Leucaena leucocephala on Different Concentrates through the In Vitro Gas Production. Proceedings of Annual Meeting of Myanmar Veterinary Association, 2008, Convocation Hall,University of Veterinary Science, Nay Pyi Taw, November 23th – 24h , 2008. 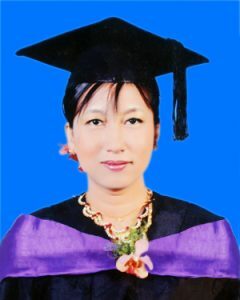 Sein Maung Maung, Khin San Mu, Mar Mar Kyi, Nwe Nwe Htin and Tin Ngwe (2008). Effect of Urea Treatment of Rice Straw on the Digestibility, Nitrogen Utilization, Milk Yield and Milk Compositions of Holstein Friesian Lactating Cows Fed with High Concentrate. Proceedings of Annual Meeting of Myanmar Veterinary Association, 2008, Convocation Hall, University of Veterinary Science, Nay Pyi Taw, November 23th – 24h , 2008. Tin Ngwe, Tin Tun Aung, Ko Ko Lat, Wan Tun and Khin San Mu (2009). The study of nutritive values of nine feedstuff foraged by the captive elephant through in vitro gas method in Myanmar. Proceedings of Annual Conference of Myanmar Veterinary Association, Yangon, November, 7-8, 2009. Min Aung, Tin Ngwe, Aung Aung, Khin Hnin Swe, Moe Thidar Htun, Lwin Naing Oo and Mar Mar Kyi (2013). In vitro gas production and its prediction on dry matter and organic matter digestibility and methane production of Albizia saman pods partially replaced in commercial concentrates. The Journal of Myanmar Veterinary Association. 15: 69-77. Min Aung, Moe Thidar Htun, Khin San Mu, Aung Aung and Tin Ngwe (2014). Effect of partial replacement of Albizia saman pods in commercial concentrate on the digestibility, nitrogen utilization and milk yield in cross-bred Holstein Friesian lactating cows. The Journal of Myanmar Veterinary Association. 16: 125-132. Min Aung, Lwin Naing Oo, Moe Thidar Htun, Khin San Mu, Aung Aung and Tin Ngwe (2014). Effect of different level of Albizia saman pods in the diets and its effects on the estimation of methane concentration and rate of reduction. Proceeding of first international conference and annual meeting of Myanmar Veterinary Association, Myanmar Convention Centre, Yangon, 2nd -3rd, February. 15-20. Min Aung, Khaing M, Ngwe T, Mu KS, Htun MT, Oo LN and Aung A (2015). Preliminary survey on the dairy cattle production system and conventional feed resources in the central dry zone of Myanmar. Global Journal of Animal Scientific Research. 3(2): 383-387. Min Aung, Kyawt YY, Khaing M, Mu KS, Htun MT, Oo LN and Aung A (2015). Nutritional evaluation of conventional feedstuffs for ruminants using in vitro gas production technique. Global Journal of Animal Scientific Research. 3(2): 518-523. 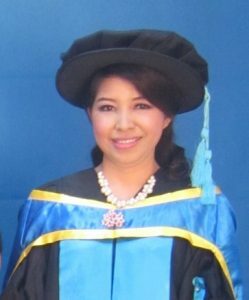 Min Aung, Yin Yin Kyawt, Moe Thidar Htun, Khin San Mu, Aung Aung (2015). In situ nutrient degradation of conventional diets commonly fed to dairy cows in central Myanmar. Journal of Aridland Agriculture. 1: 36-42. doi: 10.19071/jaa.2015.v1.2659. Min Aung, Yin Yin Kyawt, Moe Thidar Htun, Khin San Mu and Aung Aung (2016). Effect of inclusion of Albizia saman pods in the diet on the performances of dairy cattle. American Journal of Animal and Veterinary Science, 11 (1): 41-46. doi: 10.3844/ajavssp.2016.41.46. Min Aung, Yin Yin Kyawt, Moe Thidar Htun, Khin San Mu and Aung Aung (2016). In vitro fermentation of conventional diets commonly fed to dairy cows in Central Myanmar. Journal of Applied and Advanced Research, 1 (3): 8-15. doi. : 10.21839/jaar.2016.v1i3.29. Min Aung, Yin Yin Kyawt, Moe Thidar Htun, Khin San Mu and Aung Aung (2016). Feeding values of conventional diets and their effeccts on the dairy cows in Central Myanmar. Journal of Applied and Advanced Research, 1(4): 1-7. doi. : 10.21839/jaar.2016.v1i4.35. 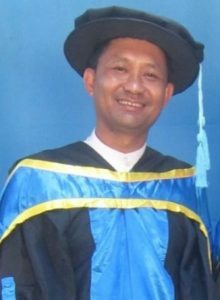 Min Aung (2017). Management strategies to minimize the impact of heat stress in dairy cows. Proceeding of the conference and annual meeting of Myanmar Veterinary Association, Convocation Hall, Mandalay University, Mandalay, 9th- 10th, December. pp. 151-160. 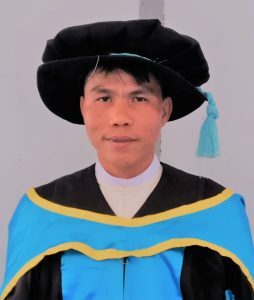 Min Aung, Yin Yin Kyawt, Moe Thidar Htun, Khin San Mu and Aung Aung (2019). Relationship between in vitro fermentation and in situ degradation, and prediction of feed degradability and energy protein synchronization of roughage based diets. Iranian Journal of Applied Animal Science. 9 (1): xxxxxxx (In press). Min Aung, Soe Min Thein, Naw Chueslis Phaw, Than Htike Phyo, Yan Paing Phyo, Naing Ye Phyo, Lesley Van Bik, Aung Bo Bo, Hset Maw, Aung Myint Maw, Say Yu Maw, Phyo Pa Pa Moe, Dezin Soe Lwin, Khin Sandar Myint, Yin Yin Kyawt and Khin San Mu (2019). In vitro fermentation of grass based diet supplemented with two different tree legume forages in ruminant. Advanced in Animal and Veterinary Science. In press. Amornthep Archawakulathep, Chung Ta Thi Kim, Dethaloun Meunsene, DidikHandijatno, HaslizaAbu Hassim, Hope R. G. Rovira, Khin Sandar Myint, Loinda R. Baldrias, Meas Sothy, Min Aung, Nenny H. Wahyu, Rortana Chea, Sookruetai Boonmasawai, Soulasack Vannamahaxay, Sunpetch Angkititrakul, Therese M. A. Collantes, Tho Nguyen Van, Veerasak Punyapornwi thaya, Zunita Zakaria, Rungtip Chuanchuen (2014). Perspectives on Antimicrobial Resistance in Livestock and Livestock Products in ASEAN Countries. Thai Journal of Veterinary Medicine. 44(1): 5-13. Aung Aung, Min Aung, Soe Min Thein, Lwin Naing Oo, Moe Thida Htun, Khin San Mu and Tin Ngwe (2014). Preliminary report on the chemical composition of Prosopis juliflora Pods. Proceeding of first international conference and annual meeting of Myanmar Veterinary Association, Myanmar Convention Centre, Yangon, 2nd -3rd, February. 1-6. Myo Khaing, Min Aung, Moe Thidar Htun, Khin San Mu, Aung Aung, Tin Ngwe (2015). Effect of Madhuca Seedcake Replacement in Concentrate Mixture on Digestibility and Nitrogen Utilization of Goat. Global Journal of Animal Scientific Research. 3(3): 603-608. Myo Khaing, Min Aung, Moe Thidar Htun, Khin San Mu, Aung Aung, Tin Ngwe (2016). Effect of leucaena forage and silage substitution in concentrates on digestibility, nitrogen utilization and milk yield in dairy cows. Journal of Applied and Advanced Research. 1(3), 37-43. Yin Yin Kyawt, Min Aung and Yasuhiro Kawamoto (2015). Effects of Harvesting management on Nutritive Values and Yielding of Cassava Foliage and Tuber. Global Journal of Animal Scientific Research. 3 (3): 609-616. Yin Yin Kyawt, Min Aung, Yoshimi Imura and Yasuhiro Kawamoto (2017). Effect of FJLB on cyanide reduction of cassava silage and its substitution into maize on the performance of laying hens. Proceeding of the first agricultural research conference, Department of Agricultural Research, Yezin, Nay Pyi Taw, 15th – 16th, March, 76-83,1 2017. Yi Mon Aye, Min Aung, Win Ohnmar Kyaw, Tint Naing, Saw Po Po (2017). Prevalence and associated factors with bovine viral diarrhoea virus antibodies in the bulk tank milk of small scale dairy herds in central Myanmar. Advanced in Animal and Veterinary Science. 5(8): 316-323. Thandar Oo, Khin Nandar Kyaw, Sai Thiha Kyaw, Aye Myint Kyi, Khaing Thin Kyi, May Mi Khin, Shwe Thiri Khin, Thiri Kay Khaing, Engyin Khaing, Aye Nyain Khaing, Min Aung, Win Ohnmar Kyaw, Saw Po Po (2017). Age Related Changes in Hematological Values of Myanmar Local Puppies. Journal of Advanced Veterinary Research. 7 (4): 116-119. May Thuzar Win, Myo Thet Naung, Pyae Phyo Aung, Thandar Oo, Min Aung and Saw Po Po (2017). Effect of probiotic (Clostridium butyricum) supplementation on hematological values of Myanmar local dogs. Proceeding of the conference and annual meeting of Myanmar Veterinary Association, Convocation Hall, Mandalay University, Mandalay, 9th- 10th, December. pp. 207 (Abstract). Myo Thet Naung, May Thuzar Win, Pyae Phyo Aung, Thandar Oo, Min Aung and Saw Po Po (2017). Effect of probiotic (Clostridium butyricum) supplementation on hematological values of Myanmar local cats. Proceeding of the conference and annual meeting of Myanmar Veterinary Association, Convocation Hall, Mandalay University, Mandalay, 9th- 10th, December. pp. 205 (Abstract). Soe Min Thein, Min Aung,LwinNaing Oo, Moe Thidar Htun, Khin San Mu, Jenny Hanks, WernerW.Stur, Dennis Poppi and Aung Aung (2017). Comparisons on the nutritive values of local and introduced forages and feed mixture for ruminant feed in central dry zone of Myanmar. Journal of Scientific Agriculture. 1: 204-210. Lukkananukool A, Thammakarn C, Srikijkasemwat K, Aung M, Kyawt YY (2018). Effect of molasses and fermented juice of epiphytic lactic acid bacteria on the fermentation characteristics and nutrient compositions of cassava leaves silage. Advances in Animal and Veterinary Sciences. 6(9): 388-394. Soe Min Thein, LwinNaing Oo, Moe Thidar Htun, Khin San Mu, Aung Aung and Tin Ngwe (2012). Effect of heat on protein degradation of maize grain soaked in ureathrough in situ Journal of Myanmar Veterinary Association. 14:102-112. Soe Min Thein, LwinNaing Oo, Moe Thidar Htun, Khin San Mu, Aung Aung, Tin Ngwe (2014). Effect of urea soaking on nutritive values of maize grain and heat treated maize grain through in vitro gas method. Proceedings of annual meeting of Myanmar Veterinary Association, City hall, Mandalay. 27-28 December, 2014. pp. 145- 156. Soe Min Thein, Aung Aung, Kyaw Naing Oo, Nan Kham Hlain, Win Myint Thein, Lwin Naing Oo, Zin Min Latt, Tu Tu Zaw Win, Jenny Hanks and Werner Stur (2014). Assessment of Feed Availability for Cattle, Sheep and Goats in Two Villages in the Central Dry Zone of Myanmar. Proceedings of the 16th AAAP Animal Science Congress. Gadjah Mada University, Yogyakata, Indonesia. 10-14 November, 2014. pp. 915-918. Soe Min Thein, Lwin Naing Oo, Moe Thida Htun, Khin San Mu, Dennis Poppi and Aung Aung (2016). Assessment of locally available feeds and feeding practices at Kyauk Aoe village in Meikhtila and Ya Thar village in Myingyan Townships in Dry Zone Area. Proceedings of the annual meeting of Myanmar Veterinary Association. Diamond Jubilee hall, University campus, Yangon. 3-4 December, 2016. PP. 148. Yin Yin Kyawt, Tin Tin Myaing, Aung Tun Khaing, Nway Kyae Mone and Mar Mar Win (2008). Occurrence of Eseherichia Coli O157 in Fresh Beef and Rectal Swab of Cattle in Middle Myanmar. Myanmar Veterinary Journal. 12: 33-38. Yin Yin Kyawt, Yuriko Imai, Tomonori Yara and Yasuhiro Kawamoto (2014). Effect of Ensiling Process and Additive Effects of Fermented Juice of Epiphytic Lactic Acid Bacteria on the Cyanide Content of Two Varieties of Cassava. Animal Nutrition and Feed Technology. 14: 447-460. 2014. Yin Yin Kyawt, Hidemi Toyama, Win Mi Htwe, Sarayut Thaikua, Yoshimi Imura and Yasuhiro Kawamoto (2014). Effects of Cassava Substitute for Maize Based Diets on Performance Characteristics and Egg Quality of Laying Hens. International Journal of Poultry Science. 13 (9): 518-524. Yin Yin Kyawt, Hidemi Toyama, Win Mi Htwe, Sarayut Thaikua, Yoshimi Imura and Yasuhiro Kawamoto (2015). Effect of Whole Cassava Meal as Substitutes for Maize in the Diets on the Performance Characteristics and Egg Quality of Laying Hens. Journal of Warm Regional Society of Animal Science. 58 (1): 19-28. Win Mi Htwe, Yin Yin Kyawt, Sarayut Thaikua, Yuriko Imai, Susumu Mizumachi and Yasuhiro Kawamoto (2016). Effects of lead contamination in soils on dry biomass, concentration and amounts of lead accumulated in three tropical pasture grasses. Journal of Grassland Science. 62: 167-173. Win Mi Htwe, Yin Yin Kyawt, Sarayut Thaikua, Yuriko Imai, Susumu Mizumachi and Yasuhiro Kawamoto (2016). Effects of liming on dry biomass, lead concentration and accumulated amounts in roots and shoots of three tropical pasture grasses from lead contaminated acidic soils. Journal of Grassland Science. 62: 257-261. Dezin Soe Lwin, Aung Aung, Khin San Mu, Lwin Naing Oo and Moe Thida Htun (2014). Transinoculation of mimosine degrading bacteria from sheep to goats fed on toxic level of leucaena leaves. In: Proceedings of 39th International Conference on Veterinary Science in Thailand. Dezin Soe Lwin, Aung Aung, Khin San Mu, Lwin Naing Oo and Moe Thida Htun (2014). Effect of transinoculation of mimosine degrading bacteria from sheep to goats fed on toxic level of leucaena leaves. In: Proceedings of Annual Meeting of Myanmar Veterinary Association, Mandalay, Myanmar. Dezin Soe Lwin, Soe Min Thein, Nang Kham Hline, Lwin Naing Oo, Dennis Poppi, Neal Dalgliesh, Jenny Henks, Ganda Nakamannee and Aung Aung (2017). Selection of Suitable grasses for Animal Feed in central dry zone of Myanmar. In: Proceedings of Internation Tropical Agricultural Conference (TropAg2017) in Australia.